Prescription sunglasses are an absolute must for anyone who currently wears eyeglasses for vision correction. Whether you are nearsighted, farsighted or have astigmatism, a pair of prescription sunglasses will provide sharp and comfortable vision outdoors. Squinting strains your eyes, reduces vision quality, and is not the perfect solution for driving or walking on a sunny day! If you generally wear contact lenses and a pair of nonprescription (plano) sunglasses, there will always be times when lenses are unsuitable. Think about a day at the beach – when the wind is blowing, sand is flying into your face, the sun is blazing and the waves are spraying salt-water. Contact lenses will not help you battle these elements, and you’ll suffer from discomfort if they dry out or become gritty. Prescription sunglasses will allow you to enjoy (and see!) your time outdoors, hassle-free. Everyone who drives knows that traveling into the glare of the sun can be uncomfortable and impossible for keeping a clear watch on the roadway. If you wear prescription eyeglasses, there are a few options for how to cope with this problem. Clip-on sunglasses, or more modern versions with a magnetic attachment, are one solution. Yet it can often be challenging to put these on without removing your eyeglasses, which can place you in a dangerous predicament. Clip-ons also need to fit your frame just right or they run the risk of scratching your lenses. A pair of photochromic prescription eyeglasses is an alternative option. These lenses darken progressively in response to outdoor light. However, because some of the sun’s UV rays are blocked by your vehicle’s windshield, photochromic lenses do not always function properly inside a car or truck. Prescription sunglasses are the ideal solution for crystal-clear vision in bright sunlight. For ultimate convenience, keep a pair in your car or boat so they’re always on hand when needed. The shapes, styles and fashions of prescription sunglasses are virtually unlimited. With the exception of extreme wraparound styles, prescription sunglasses can be crafted in just as many versions as nonprescription sunglasses. An extensive array of lens materials and designs are available on the contemporary market. 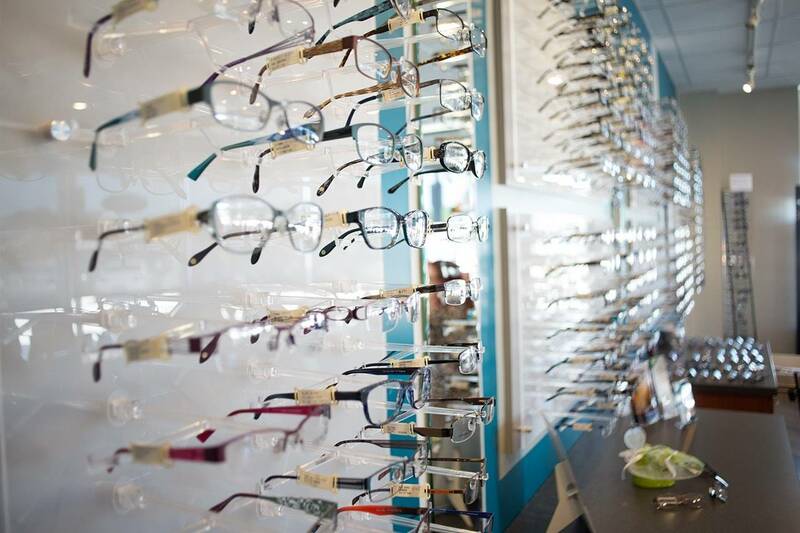 Progressive (no-line bifocals) lenses and high index plastic lenses are popular features. Polarized lenses grant optimal glare protection from light that reflects off the surface of water or roads. If you use power tools or engage in sports and recreational activities that could cause eye injuries, a good choice for you would be lightweight lenses constructed from polycarbonate or Trivex. Sunglasses made from these materials are much more impact-resistant than plastic or glass lenses.